← Music I like. #3. Madvillain. Why I oppose the flood levy. The bridge to where I growed up. Another quick post today as I’m not in the right mood for blogging and don’t really have anything interesting to say. Today for some reason I started thinking again about the flood levy – an issue I was quite worked up about prior to starting this blog. 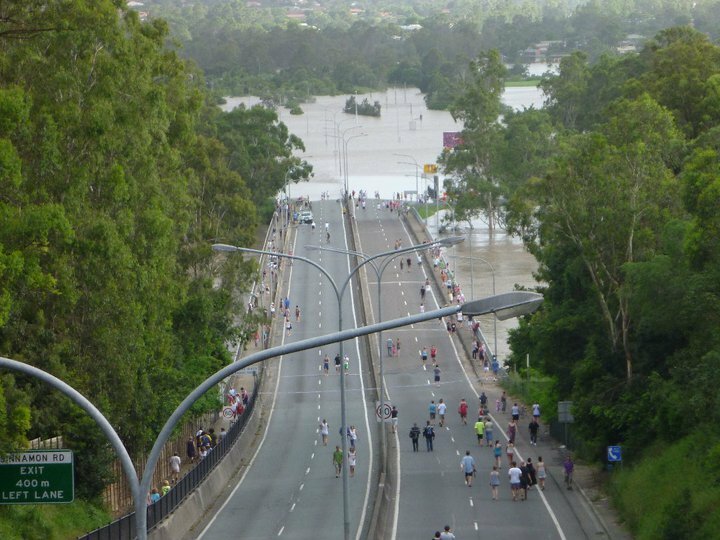 As a Queenslander I hope to see the state rebuild quickly and effectively from the floods. I live in Canberra now, but was back home when the floods hit, and the proximity to the damage and despair really amplified my feelings for those who were effected (or is “it affected”?…I still get those confused after numerous explanations). Nevertheless, I do not support the Government’s flood levy. I’m no economisticianianado, but I trust my judgement to spot a dud policy when I see one. The policy may be, according to certain economists, good fiscal policy or bad fiscal policy, but that’s not my primary concern with it. My concern is the reiteration of this debt crisis false-alarm and the ensuing impulse towards austerity. I cannot support an economic policy which has, as its prime goal, political face-saving. The only reason. I repeat, the ONLY reason there is an imposition of a levy is to return to surplus in 2012-13. To reach some artificial indicator that Gillard and Swan decided was politically expedient. And what does it indicate? The health of the economy? Not on your life. A figure, an artificial bloody figure. And for that, we simply must cut important public expenditure in health, science and welfare (it’s coming). This obsession with budget surpluses is a cancer on our democracy. There are no sensible economic policy debates anymore just a slavish acceptance that SurplusGood, DeficitBad, end of discussion. And it pervades every aspect of political decision-making. The day I think cuts to expenditure are founded on genuine economic concerns is the day the Government proposes to trim the fat of middle-class welfare. That’ll be the day! Much easier to demonise the poorest members of our society instead.